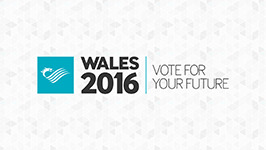 Elections in Wales – what are we voting for on 5 May 2016? 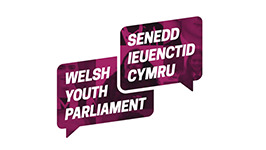 60 young people aged 11 - 18 are your Welsh Youth Parliament Members. You elected 40 of them by voting in our election in November 2018. The remaining 20 were elected by young people from partner organisations. 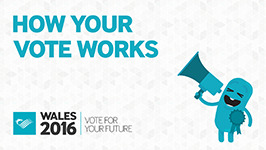 Putting our parliament together this way made sure we have representation from diverse groups of young people. Hannah Blythyn AM was the first openly lesbian woman to be elected to the National Assembly for Wales in May 2016 and represents the Delyn constituency. From North East Wales, Hannah became involved in student politics and campaigns while at University and later worked for the Unite Union. Before being elected to the Assembly, she was Head of Political Strategy at Unite Wales and co-Chair of LGBT Labour. 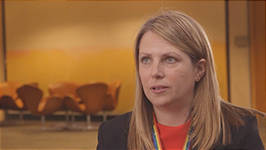 Stonewall Cymru identified her as one of their LGBT Role Models and she appeared on the Pinc List 2016 as one of the 40 most influential LGBT people in Wales. Dr. Manon Antoniazzi has been appointed as the new Chief Executive and Clerk of the National Assembly for Wales. The Clerk is the most senior Assembly Commission employee and is responsible for ensuring that Assembly Members are provided with the services and support they need to represent Wales and its people, make laws for Wales, agree Welsh taxes and hold the Welsh Government to account. As the organisation’s Principal Accounting Officer, she will also champion the Assembly’s reputation within Wales and beyond as an accessible and efficient democracy. 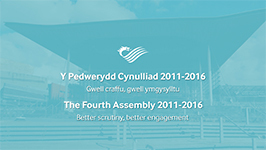 Highlights of the National Assembly for Wales’ achievements from the Fourth Assembly. 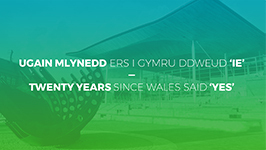 All 60 Members will meet for the first Plenary of the new National Assembly for Wales, which will take place 1.30 on 11 May in the Senedd. The first item of business for the new Assembly is the election of a Presiding Officer. A newly appointed Presiding Officer and Deputy Presiding Officer must be elected at the Assembly’s first meeting after the election and that meeting must take place within seven working days after the election. The Presiding Officer is the highest authority in the Assembly and chairs the meeting of all 60 Assembly Members in Plenary, remaining politically impartial at all times. If the Assembly agree to a single nomination for the office of Presiding Officer, the vote is conducted in public in the Siambr. 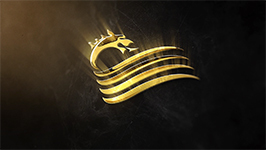 If more than one Member is nominated, the election takes place through a secret ballot outside the Siambr in the Cwrt area of the Senedd. 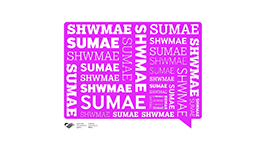 To note ‘Shwmae/Sumae Day’ on 15 October 2015, the National Assembly for Wales has joined in the fun by producing this short video which shows Assembly Members, Assembly staff and visitors to the Assembly all saying ‘shwmae’ or ‘sumae’. The aim of the day is to encourage everyone in Wales to start each conversation in Welsh. 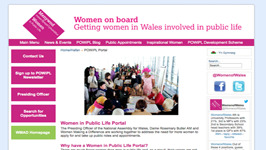 Women in Public life lecture: Sylvia Ann Hewlett – The Value of having Women in Top Jobs Sylvia Ann Hewlett is a leading Economist. She is the founder and CEO of the Center for Talent Innovation and Co-Director of the Women’s Leadership Program at the Colombia Business School in New York City. The Author of 11 critically acclaimed books, Sylvia has focused her professional energies on overcoming the obstacles faced by women and minorities. 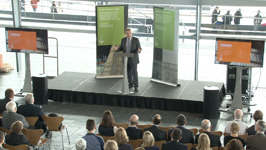 The National Assembly for Wales’s video streaming channel, Senedd TV, is re-launching with an improved service. 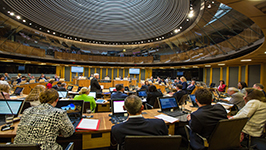 Users will now be able to embed clips from Plenary and committee meetings and view the service on mobile devices, in addition to accessing existing functions. 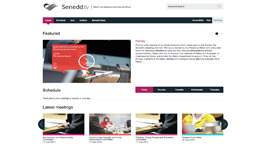 Key features of the improved Senedd TV include: •	ability to clip a specific section of Assembly business and embed on a third-party site; •	the ability to view on mobile devices; •	an improved search facility making it easier to locate archived material; •	a scrub feature which allows the user to rewind live video and go straight to the point of an archived video with ease; •	adaptive streaming to improve the picture quality; •	archiving video within two seconds providing near real-time accessibility to historical content. 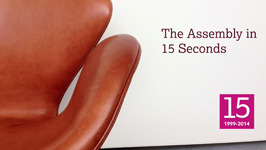 Assembly Members try to sum up what 15 years of devolution means to them, in just 15 seconds.